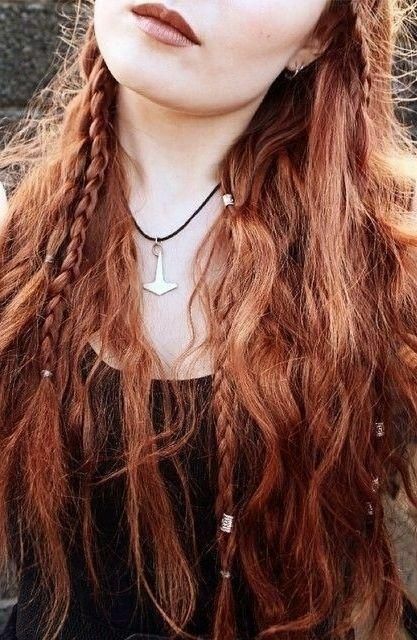 Red hair is fully embraced and loved in the hair world this season. From deep, rich shades to shy hues of strawberry blonde, we're seeing an uprising of red hairstyles hit Instagram, Pinterest, and now, HSOP. Check out these hot red hairstyles along with quick guides on how to style your hair just like what you see in the pictures. Get the look: this style can be tricky, so check out this tutorial for a visual representation. Recommended Hair Color: Start with an all over color like L'Oréal Paris Feria Permanent Hair Color. Then, run highlights through the hair a couple days after the color treatment. Sally's Beauty carries an easy-to-use highlight kit called Blond Brilliance that comes with the bleaching powder and developer. If you've never highlighted your hair at home, we recommend going to a salon. 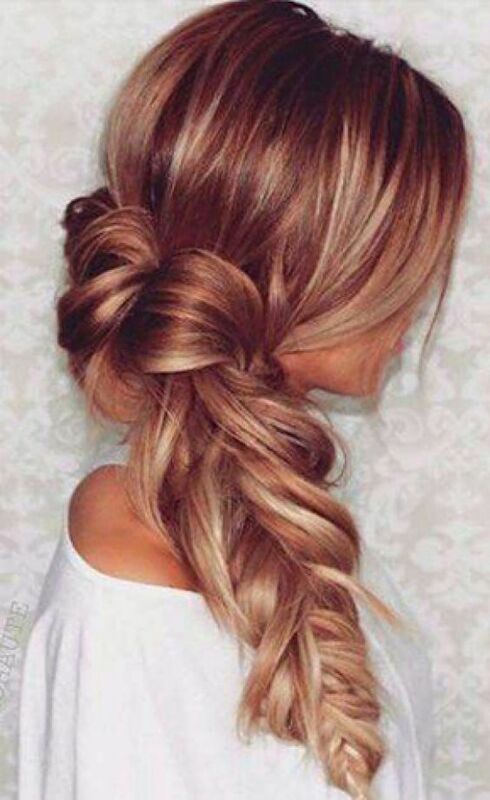 A messy bun instantly looks more fun when it's full and loose. If your base hair color is dark, you may need to bleach your hair prior to coloring it this shade to achieve a hue this light. Section off two-inch sections in the front, on either side of the part. Gather the rest of the hair, and comb back into a high pony. Twist into a bun, and pin into place with bobby pins. There aren't any hot tools involved in this hot-red style, and we absolutely love it. Separate hair with clips into three sections, from top to bottom. Starting with the bottom section, braid two to four strands and secure with a clear elastic. 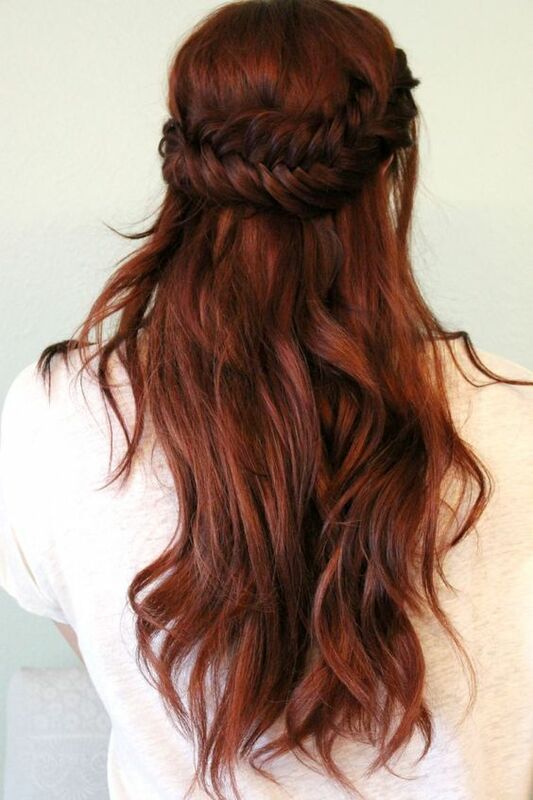 Repeat with the middle and top layers, and be sure to spread out the braids throughout the hair. Accent each braid with a gold cuff. For lighter streaks, use the Blond Brilliance highlighting kit a couple days after the red color treatment, or visit a salon if you have never highlighted your own hair. Chop your hair off into a graduated bob. Use a 1.25-inch wand to achieve the curls. Tease hair, and spritz with a texturizing spray like IGK Beach Club. Start off right by using a volumizing mousse on damp hair. Blow dry with a round brush. Use a 1.25-inch curling iron to achieve loose curls, or use a flat iron to keep straight. Tease for volume and spray with texturizing spray. Recommended Hair Color: While we're sure you're a hair guru, this color is a bit more complicated than an all over color treatment. To avoid an inevitable color correction, we recommend heading to a salon to achieve this red to blonde ombre. 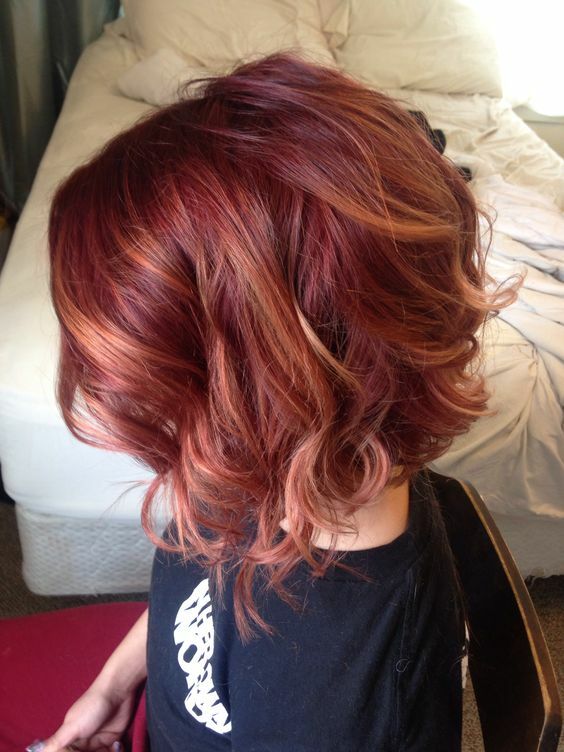 Get a red to strawberry blonde ombre. Use a 1.5-inch curling wand to get beachy waves. Spray with a shine serum, and set with a hairspray. Pull hair into a high pony. Take the end of a teasing comb and gently pull out face-framing pieces. If your hair is fine, tease the ponytail before wrapping it into a bun and pinning it into place. If it looks too neat, pull a few pieces out of the bun. For the best results, start off by running Diamond Shine Oilthrough damp hair. Use a heat protectant before flat ironing hair. Aveda Shine Infusion is amazing. Rotate the flat iron at the bottom few inches of hair to create a subtle wave. Pull the top half of the hair back, and pin with bobby pins. Be sure to leave face-framing pieces out of the pins. Not sure which products to pair with your favorite red hairstyle? Our comprehensive guide will help you find the best products for your hair type.